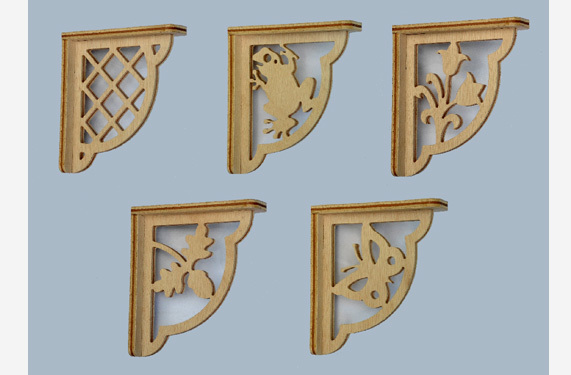 Small decorative marine ply wood shelf brackets sold in pairs either assembled or in kit form (only requires glueing). Size 16cm x 14.5cm x 3.5cm. State pattern required. Price £8.50 per pair (kit) £10.50 per pair (assembled). 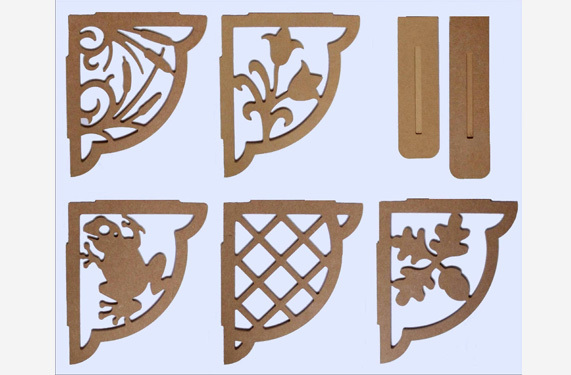 Large decorative MDF shelf brackets sold in pairs either assembled or in kit form (only requires glueing). Size 31cm x 26.2cm x 7.5cm. State pattern required. Price £9.99 per pair (kit) £12.99 per pair (assembled). 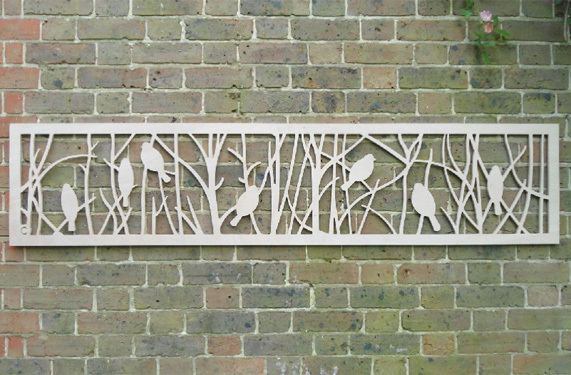 Decorative trellis made from quality exterior ply, can be varnished or painted. Size 120cms x 38cms. Price £19.50 each. 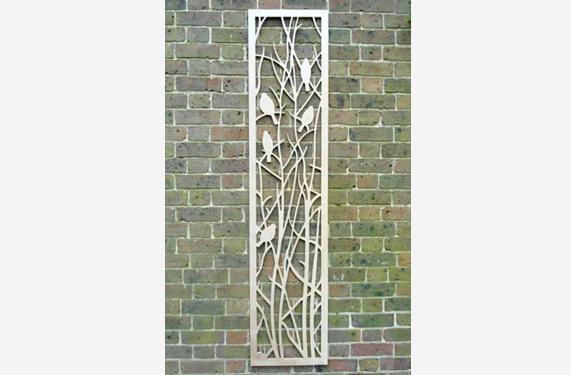 Decorative trellis made from quality exterior ply, can be varnished or painted. Size 120cms x 38cms. Price £19.50 each. 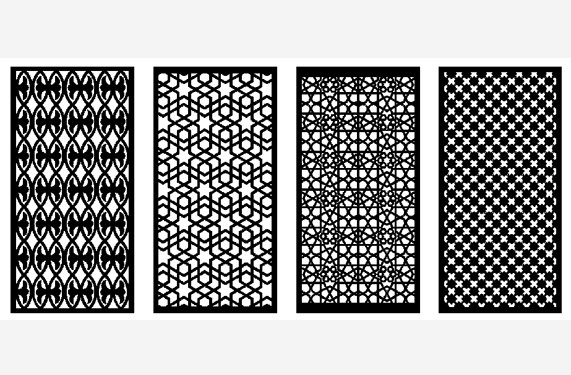 A variety of fretted panel patterns, sizes and materials are available. Please contact us with your requirements. RE-WRITABLE ROCKET. 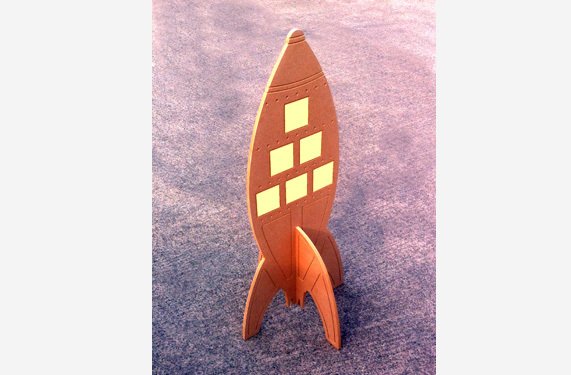 Part of our Teaching Resources range, this free standing, double sided, wooden rocket is 150 cms high, has recessed panel lines and 12 removable magnetic window panels. These can be written on with white board markers and wiped clean for reuse. The rocket body can also be decorated permanently, if desired, with paint, vinyl stickers, glitter, foil, or any other suitable medium. Kids will love this space ship writing aid that can be used over and over again. Imagination is the only limit!. 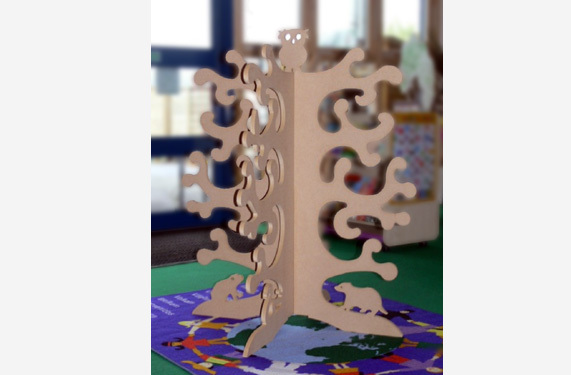 Part of our Teaching Resources range, this aid stands 125 cms high and can be decorated in class if desired with paint, vinyl stickers, glitter etc. 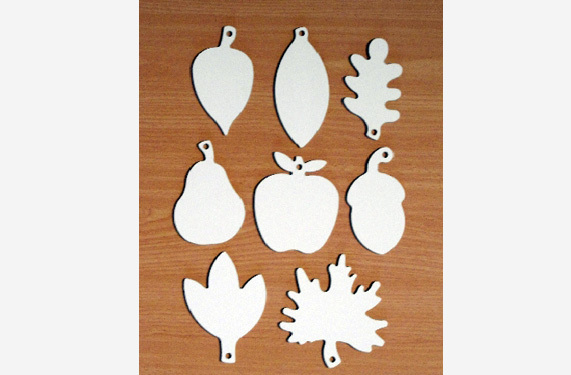 The separate Fruit and Leaf Pack white wooden parts can be hung on the branches and written on using white board markers for reuse, or with other pens for permanent marking. Kids will love identifying the woodland creatures on the tree and writing the names of the fruit and leaves, or their own names, or anything else, on the hang on accessories. For use with our ‘Apply on Words Tree’, the Fruit and Leaf Pack parts can be written on by the children and hung on the tree branches using ribbon, string or even rubber bands looped through the hole in their stem. They can be marked using white board pens on the white side and wiped clean for reuse, or can be written on either side with other pens for permanent marking. Price (20 pieces) £24.95. Excluding delivery and VAT.